This hospital’s new research and laboratory centre, building 25 B, is a counterpart to the interdisciplinary research tower, building 25 A, which was completed in 2004. The two form a new urban landmark at the entrance to the hospital, located on the banks of the river Main. The new building’s exterior design and interior layout match those of the existing one. 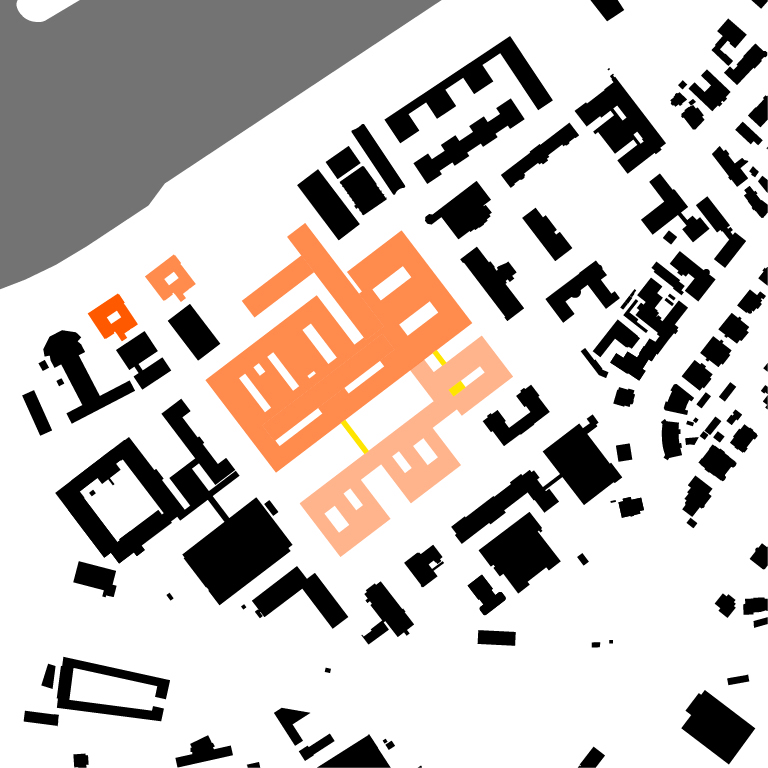 It is almost square in plan, with six storeys and a basement, and like its counterpart it has a glass screen surrounding the research areas on the side facing the river. The façade is finished in reddish artificial stone, reminiscent of the sandstone so common in Frankfurt. The interior is designed for maximum simplicity, efficiency and flexibility. From the main entrance on the southeast side of the ground floor, visitors enter a central atrium with stairs and lifts to the upper floors. The ground floor also has two groups of examination and treatment rooms for research subjects, and other service areas. Floors 1 to 5 contain consultation and waiting areas, offices, and modular laboratories, each with its own meeting room. The offices are used by university lecturers and managerial and secretarial staff, while the desks and analysis stations behind the windowed façade are intended for researchers, doctoral students and laboratory workers. The basement houses the medical area, which includes magnetic resonance tomography, angiography and other research imaging facilities, and part of the building technology, the rest of which is located on the sixth floor. 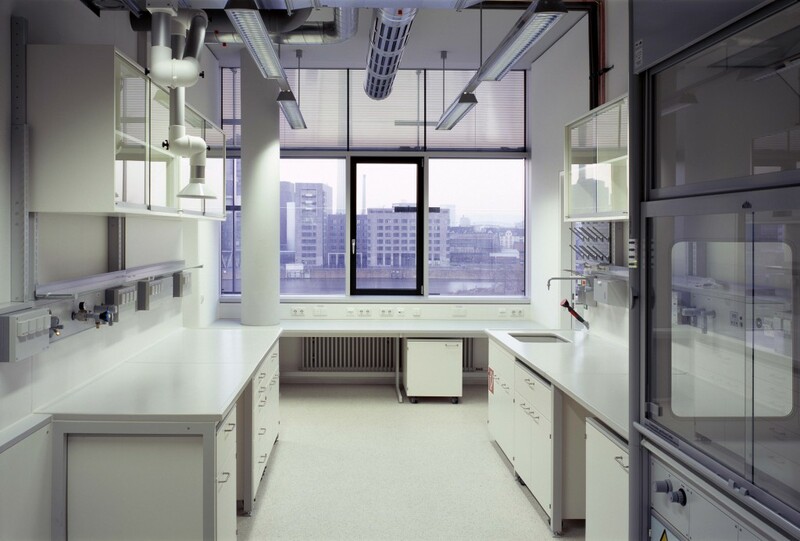 All of these areas are designed for flexible use, with modular partition walls to meet the constantly changing needs of researchers working in small teams. Likewise, the laboratories and meeting rooms can be combined into clusters, and these in turn merged to form large research units. 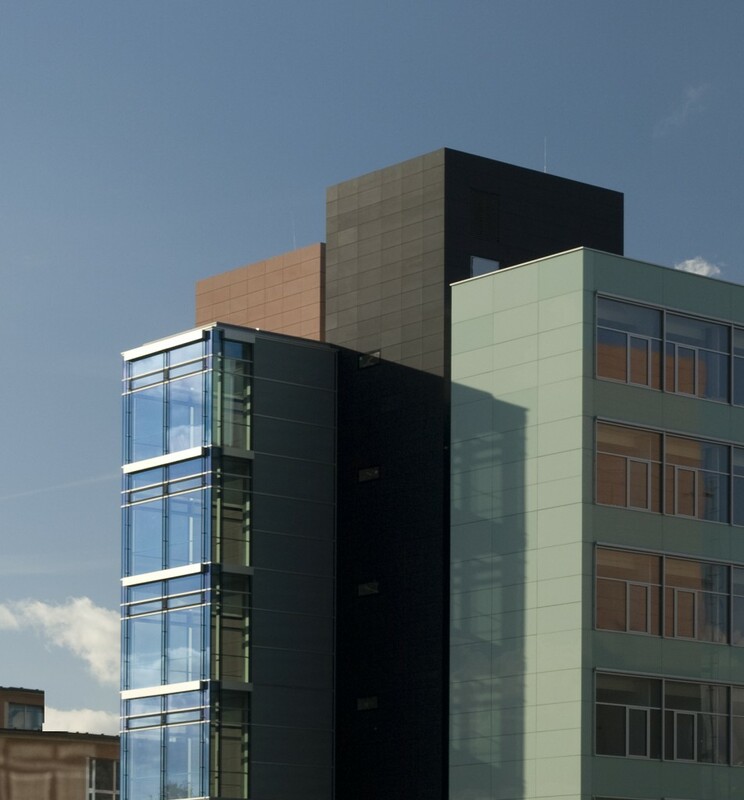 Building 25 B provides a new and highly efficient setting for cardiovascular research and, along with the existing buildings, a distinctive architectural trademark for the hospital.